Oswald holds a Master’s Degree in Electrical Engineering from the University of Cape Town, South Africa. 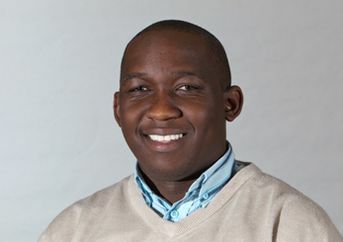 His role is in designing, developing and deploying Internet of Things (IoT) solutions across 15 African markets. His latest research interests focus on the Internet of Things Solar Renewable Energy, and Low Power Wide Area Networks for IoT and Cloud Computing. 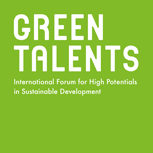 In 2012 Oswald was awarded a Green Talent. The jury was impressed by his breakthroughs in energy efficiency and energy harvesting techniques for embedded wireless communication systems. The forum allowed him to travel around a number of renewable energy research sites, and helped him to realise the opportunities that can be derived from investments in solar energy. After the award, he started working as an Executive Assistant to the CEO of Econet Services International, based in Zimbabwe from 2012 to 2014, and he was a board member at Muzinda Hub, Zimbabwe from 2014 to 2015. Oswald Jumira is developing novel ways to power wireless communications devices to improve their function, cost-effectiveness and significantly reduce their environmental impact. Communicating around the clock and around the globe requires more energy than we might think. According to the SMART 2020 study, carbon emissions from information communications technologies (ICTs) alone are increasing at a rate of 6% per year and could represent 12% of worldwide emissions by 2020. Oswald Jumira is developing new ways to achieve ecologically sustainable and cost effective communications infrastructure. Jumira focuses on energy harvesting techniques, which allow wireless communication devices to draw the energy they need from the immediate environment. These devices can tap into vibrational energy, thermal energy, outdoor solar energy or indoor lighting for their power needs, and reduce or even eliminate their dependence on batteries. The jury felt that Jumira’s work developing more sustainable and energy efficient ICT systems could bring great ecological and economic benefits, especially to Africa. They were particularly impressed with his breakthroughs in energy efficiency and energy harvesting techniques for embedded wireless communication systems.